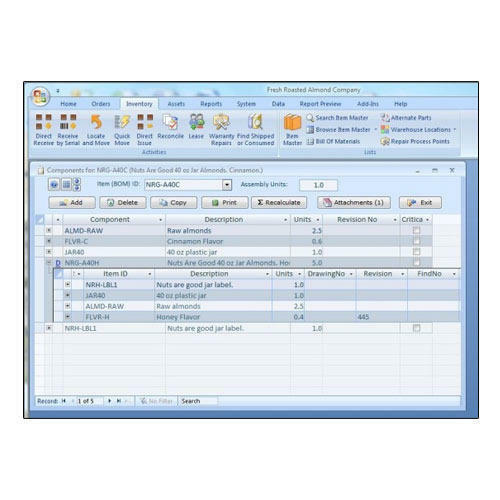 In order to cater to the diverse needs of our clients, we offer Inventory Software. Our assiduous professionals are able to develop this software as per the need of our client. This software is suitable for meeting the need of the inventory management. Offered software is easy to install, thus demanded in the market widely. Besides, our esteemed clients can buy this software from us at nominal prices. Established in the year 2013 as a Partnership based firm, we “Iman Tech Solutions”, are located at Hyderabad (Telangana, India), one of the foremost mobile application, web application and software development company, occupied in developing and supplying a wide array of ERP Software, Management Software etc. Our proficient software developers are able to develop software in line with the set quality standards. This software is widely recognized for its features such as simple installation, trouble free performance and better user interface. We are also known as the reliable consultancy and development service provider. We impart services like Application Development Service, Website Development Service and many more for large to small companies. Our professionals provide innovative solutions that assist manage business process. We focus on scalable and reliable software solutions that are aimed to enhance efficiency. With help of state-of-the-art technologies, we present productive solutions as per clients’ needs. These services are highly acknowledged for their timelines, trouble free execution & cost-effectiveness.